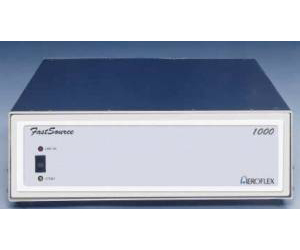 The Aeroflex FS1000 is an ATE enabler with a worldwide installed base and an established MTBF exceeding 8,500 hours. With the FS1000 you get the advantages of high speed, low phase noise, and high density architecture. The FS1000 product line supports high speed testing of not only wireless communications systems and components but also mobile network devices and Bluetooth enabled products.